With comprehensive information on harmonization of taxation in the EC, implementation of EC tax laws into national legislation, and EC and national tax cases. 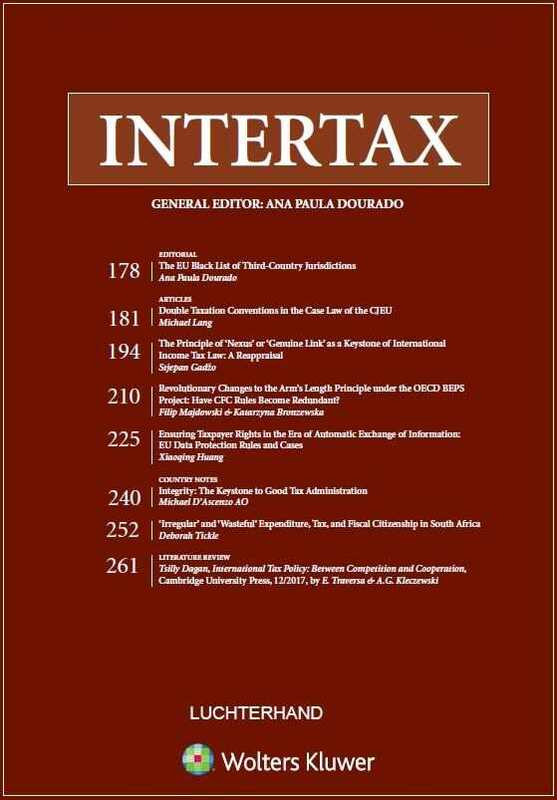 This established international tax journal offers detailed coverage of direct tax, indirect tax, and social security from both legal and economic angles, and provides 12 issues a year of practical, up-to-date, high-level international tax information. Coverage includes all aspects of transnational tax issues. Special issues focusing on subjects of particular interest, such as abuse of law. Tax attorneys, practitioners (litigation and transactional) in other areas where international tax issues are a concern, and academics will all appreciate Intertax's authoritative, reliable content and numerous useful features. Intertax also includes subscription to EC Tax Review.